Migrating to the cloud can bring with it a myriad of benefits; flexibility, cost-effectiveness, greater security and powerful analytics – to name a few. However, a successful migration is not without its challenges. Careful consideration is needed to make sure your investments are worthwhile and that no unforeseen risks rain on your cloud migration plans. To help you kick-start your journey to the cloud, we’ve asked our expert Cloud Solutions Team to share their top tips for a successful migration. 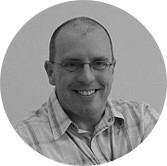 Callum MacAllister, Cloud Architect – Azure SQL, Data and Analytics. “Do your homework first. 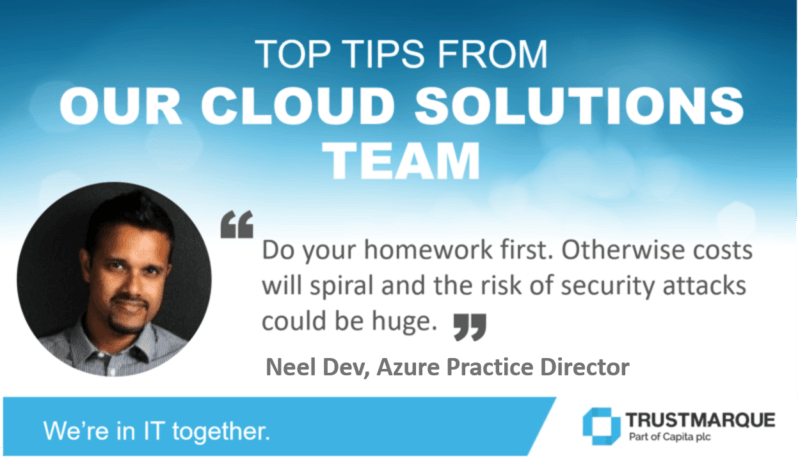 Otherwise costs will spiral and the risk of security attacks could be huge,” comments Azure Practice Director Neel Dev. Neel advises that it is important to always begin with a thorough implementation plan. This should include a detailed review of your current IT estate considered alongside your goals as a business, taking into account both the short and long-term objectives. As part of your infrastructure review, all of our Cloud Team equally pressed the need to understand and validate your dependencies. These inter-dependencies should be considered alongside the “importance and sensitivity” of your data as a key driver behind your cloud architecture. Once you have your strategy and design, the environment can be quickly scaled out and altered as needed, says Cloud Solutions Architect Adrian Fish. He commented: “Many organisations start deploying test environments in the cloud which quickly become live production solutions. But without the proper planning or assessment, this can result in security holes being created in the cloud which can then reach back to on-premise deployments. Of the other recommendations from our team are creating effective monitoring and usage alerts on all compute, storage and networks. And the benefit of deploying a robust roles-based permissions model to facilitate security and compliance. Finally, it is important to prepare to “upskill your IT staff”. The technical skills needed to deploy, manage and maintain cloud environments are changing rapidly and traditional IT capabilities aren’t always ready for a full cloud migration. Discover more top tips for planning your datacentre migration in our recent blog ‘Top considerations when moving to a public cloud environment’. We’ve recently launched an on demand webinar series on the topic of Microsoft Azure, hosted by our Azure Practice Lead Neel Dev. Find out how Trustmarque Azure Solutions can give you a clear path to the cloud.